cooking ideas | eat. live. paleo. 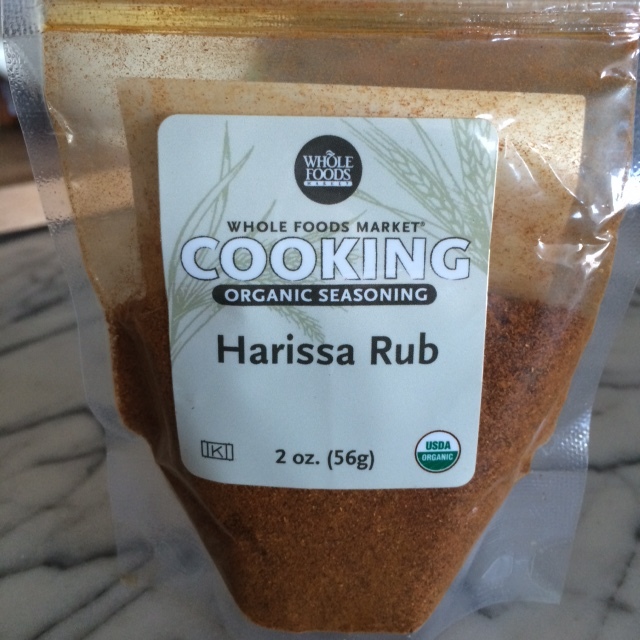 Early this summer I discovered harissa at our local Brooklyn Whole Foods, and this spice blend has really changed up our “easy and quick” meat game. Harissa — at least the Whole Foods blend — is made up of paprika, caraway, chili pepper, cayenne pepper, coriander, cumin, garlic, peppermint and sea salt. It’s a little spicy, and packs a lot of flavor. You can mix the powder with water or olive oil to make a paste, or simply use it as a dry rub. I started using the rub when I wanted to change up the simple roast chicken or a steak, and have used it when roasting cauliflower as well. When we went on our dive vacation in Bonaire recently and I knew we would be cooking either beef or chicken everyday due to island grocery limitations, I brought harissa with us. It was a life saver from the monotony of eating the same thing day after day, literally spicing up our meals in a different way. The only thing to watch out for when using harissa is that it will burn — so for instance with whole chicken I make sure the bird is covered until the meat is cooked and is ready to be exposed to crisp up the skin, or with steak I like to put it only on one side, the side that will be seared/cooked second. The rub will also be great on ribs. Harissa is a great spice blend that packs a lot of flavor and aroma — if you see it at your grocery store, it is definitely worth trying and experimenting with it!